first purchased by Frank Clark. Clark’s has grown rapidly across the Midlands and opened offices in Greenville, Charleston, Sumter and our newest office in Lexington. In June 2008, Frank officially passed the torch on to his son, David Clark. 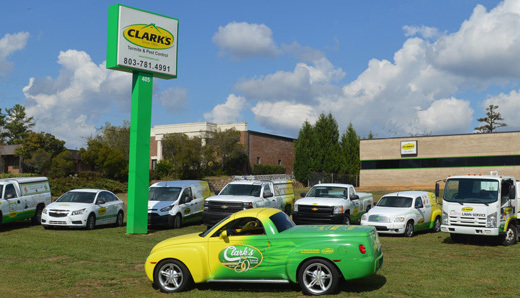 Clark’s has an experienced and qualified staff dedicated to serving South Carolina with expertise in controlling termite and pest activity. We have an entomologist on staff with more than 30 years of experience in the structural pest control industry. All of our employees must pass a background check. Our technicians undergo thorough and continuous training to ensure that they are equipped with the latest knowledge and technical expertise to do the job right. The Clark’s team is committed to providing you with the safest and best professional service because your satisfaction is our goal. With Clark’s, you get more than a guarantee. You get a rock-solid promise we’ll take care of your problems once and for all. And, you get peace of mind knowing there are real Clark’s people standing behind that promise. As soon as you choose the Clark’s pest control solution that’s right for your situation, we’ll explain the specific guarantee that goes along with it. Let’s say you sign up for quarterly pest control treatments. If pests come back between our scheduled visits, so do we – at no charge. Or, you might opt for our Premier Defense System. You’ll get the best pest protection available, plus a guaranteed $1,000,000 in repair coverage in the unlikely event of termite damage. Our guarantees are a little different for each Clark’s pest control solution, but one thing stays the same: With Clark’s, you have more than a guarantee. You have our word. A huge thanks goes out to Matt, Wayne and the others who helped install our new foyer hardwoods after a nasty termite takeover. They were such great, helpful guys and totally went out of their way to help us! They spent 3 days in our home and we had the best time under a very annoying situation (for both parties)! Very nice and fun guys! Great work, Clark’s! Thumbs up from the Norris Family!! Thank you, Mike! You have done a great job at The Hollows! Thanks to Clark’s, my yard looked great for Thanksgiving. Mike is always meticulous and polite. He does excellent work. Shane was very pleasant to talk to. He’s polite and accommodating. My technician Bubba is spectacular. You have a good man on staff! Patrick is phenomenal. He answered all my questions and thoroughly explained what he was doing. He’s a great technician! I am impressed with how fast your company was able to come out for my service. Everyone loves to complain when a job is not done right. I want to thank you for a job done perfectly! Thank you for letting me know about the leak under my house. It has now been repaired. A big thanks to my technician, Cory! Robert is a great technician. He gives good old fashioned, quality service. You don’t see a lot of that today. He is always friendly and his actions speak well for your company. Justin did a wonderful job. He was on time for the appointment. I’m one happy customer! I was impressed with the speed in which your company responded to my problem. I appreciate how Josh explained what he found and how he remedied it. Other companies have been out, but were never able to find a solution. Jamaal came out last week for my inspection and he was absolutely adorable. He was punctual, professional and friendly. He did a thorough job and I’m very pleased with your company. Robert is a great technician. He did a great job. I’m very happy with your service. Your technicians Justin and Zach are absolutely wonderful! They did a great job! I have been with many pest control companies, but this company is by far the best. Your company has gone out of your way to take care of me and you always have a great attitude about it. I think your company is great from the office staff to the technicians. I’ve never had a problem while doing business with Clark’s. Thanks for taking care of my client and getting repairs done so quickly! Clark’s is awesome. They help out every year at the Realtor association’s big fundraiser for Habitat for Humanity. Thanks everyone at Clark’s. Do you have a question that Clark’s can answer? Look below for a selection of frequently asked questions regarding pests and pest control, mold and moisture control, construction services and other Clark’s specialties. If you don’t find the answer to your question here, please Contact Us and we will find an answer to your question. A. Clark’s has been in business since 1963. A. We service the entire state of South Carolina. A. Monday through Friday, 7:30 am – 6:00 pm. Q. How can I contact your office? A. Call our office toll-free at 866-781-4991 or email us at clarkscsr@clarkspest.com. We can also be reached through our contact form. A. Yes. Contact Us for your free estimate today! A. Yes. You can pay your bill through your online account access by clicking here. It’s a free service we offer to our customers. Q. Do you offer same-day service? A. Our customers’ needs are our priorities. We guarantee service within 24 to 48 hours. A. Yes. Please like us on Facebook! A. Yes. Please follow us on Twitter! A. Please Contact Us regarding discounts and current promotions. Q. What types of pest control services do you offer? A. We offer a variety of services to cover our customers’ needs. Visit our Pest Control page for more information. Q. What types of bugs do you treat for? A. We target any pest that poses a problem in South Carolina. Visit our Pest Control page for more information. Q. What are your prices for pest control? A. Please Contact Us regarding pricing information. Q. Is the chemical used to treat safe? A. Our pest control is safe for you and your pets once the treated area is dry. Visit our Pest Control page for more information. Q. Does the chemical have an odor? A. Clark’s treatment produces very little odor, so you probably won’t even notice when the barrier is applied. Visit our Pest Control page for more information. Q. Do you treat for bed bugs? A. Yes. Visit our Bed Bug Control page for more information regarding the treatment. Q. Do you treat for fleas? A. Yes. Visit our Pest Control page for more information regarding the treatment. Q. Do you treat for mosquitos? A. Yes. Visit our Mosquito Control page for more information regarding the treatment. Q. Are rodents covered under pest control? A. We offer solutions to your rodent problem that are covered by our pest control service. However, if you have an infestation of mice or other rodents, we recommend an evaluation by our wildlife department. Please Contact Us if you have a rodent issue. Q. I have a squirrel, bat, etc. in my attic. Can you take care of that? A. Yes. We have a wildlife specialist on staff equipped to handle these types of issues. Please Contact Us to schedule an evaluation. Q. Do you remove snakes? Q. What are your prices for termite bonds? Q. How do I get my home/business under bond with your company? A. One of our qualified sales respresentatives will need to perform an evaluation of the property to determine what is necessary to bond your home/business. We offer FREE estimates. Please Contact Us to schedule your FREE estimate today! Q. How much does a CL-100/Termite Letter cost? Q. Exactly what is a CL-100/Termite Letter? A. A Wood Infestation Report is a report of visible infestation and damage caused by insects (e.g., termites and beetles) and decay in accessible areas of the structure, with the inspection for decay fungi limited to the portion of the structure below the level of the first main floor. Commonly referred to as a termite letter or CL-100, its purpose is to inform the lending institution and buyer of the results of an inspection by a Pest Control Operator. As a protective measure, banks and lending institutions require that homes be inspected for damage from termites and other wood-destroying organisms before they will loan money on the home. 1) Where was the damage found? 2) What caused the damage? 3) Is there any visible evidence of infestation or previous treatment? 4) Are there any obstructions or inaccessible areas which cannot be inspected? 5) Was a builder contacted to assess the damages? Q. Does a CL-100/Termite Letter guarantee the absence of termites? A. No. This report is simply a description of any visible activity or damage caused by termites or other wood-destroying organisms. The inspection is based on careful visual inspection of readily accessible areas and by sounding or probing. A qualified building expert should be consulted to determine the extent of damage and whether repairs are necessary. Most Pest Control Operators are not licensed builders. Q. Isn’t the Pest Control Operator responsible for reporting all types of structural damage? A. No. Often, a Pest Control Operator is the only individual who goes beneath the house or in the attic. Because of this, the Pest Control Operator is often considered responsible for inspecting and reporting anything that may be wrong with the structure. This is not true. Structural and electrical problems, plumbing, roof leaks, etc., are not normally their areas of expertise. Building Inspectors and contractors who are licensed or registered with the South Carolina Residential Home Builder’s Commission are the appropriate people to call to inspect these problems. Q. Who is responsible for treating or repairing the damage found? A. When Pest Control Operators find wood-destroying organism activity or damage, they are required BY LAW to report it on the Wood Infestation Report. If they do not, the Department of Pesticide Regulation will take appropriate enforcement action. Any company can treat or repair, but the PCO is required to issue the report regardless of whether they perform the repairs or treatment. Q. Does a termite letter provide insurance on my new home? A. No. CL-100 is a literal inspection of your home that pertains to wood-destroying insects, water damage and moisture conditions. It reflects the general conditions of the home at the time of inspection. 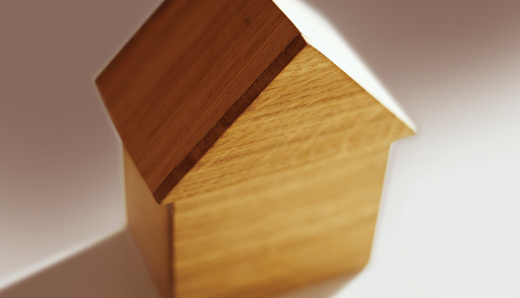 There is no warranty or guarantee for any pre-existing or future conditions of the home. Q. What if my termite letter is not “clear”? A. Many wood infestation reports do not come back as many refer to as “clear.” However, damage that has been properly repaired or judged to be not structurally significant should not interfere with the sale of the house. Just as most used cars have a dent here and there, most South Carolina homes that are over 10 years old can reasonably be expected to have some wood-destroying organism damage. If a “clear” letter is required by the lender or specified in the sales contract of the home, then estimates should be produced for any repair, corrective action and/or treatments needed to correct the issues on the CL-100. Necessary actions should then proceed. Some loans and situations do not require a “clear” CL-100 and you should seek advice from your sales or company representative as to the best course of action to pursue. Q. What is a “clear” CL-100? A. A “clear” CL-100 indicates that there is no visible wood-destroying insects present at the structure, and no damage caused by wood-destroying insects. It also indicates that there is no structural water damage that requires repair, and no adverse moisture conditions that require repair and/or corrective action. Again, this inspection indicates these conditions at the date and time of the inspection only. There should be no speculation as to any previous or future conditions. Q. Do you offer mowing services? A. Yes. Please visit our Lawn Care page for more information. Q. What does the treatment consist of? A. Information regarding fire ants and treatment can be found here. Contact Us to speak with a specialist for additional information about the treatment. Q. Is the treatment guaranteed to get rid of my fire ants? A. We offer treatments that provide a one-year guarantee against fire ants. Please visit our Fire Ant Control page or Contact Us to speak to one of our representatives. A. We offer everything from simple repairs to structural and floor system repairs, bathroom remodels and additions. Visit our Construction Services page for more information. Current customers can log in to view account statements and service history, see inspection results, schedule service and pay their bill. Call us at 866-781-4991 for more information.